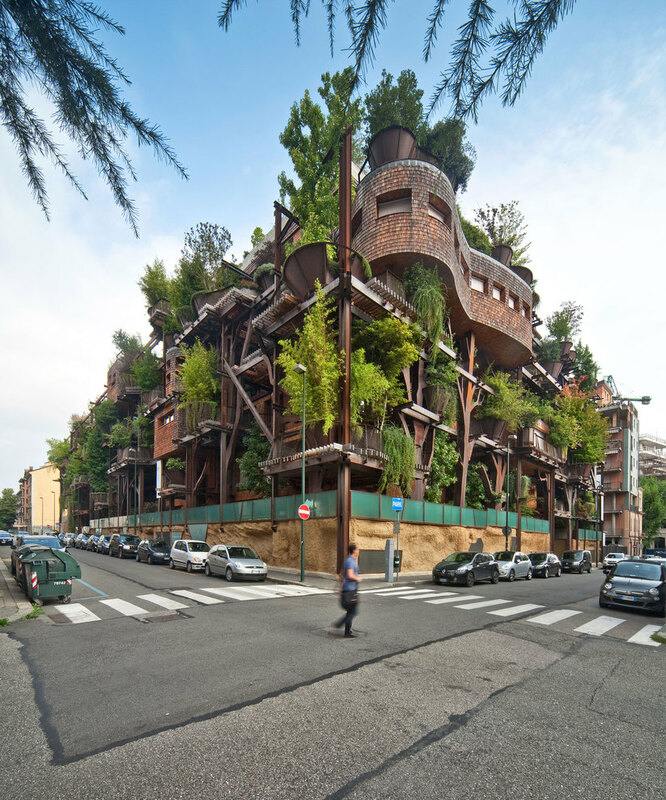 This treehouse apartment building in Turin, Italy, is so incredible it almost doesn’t seem like it can be real. 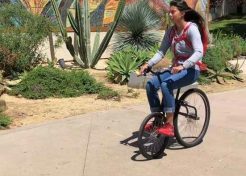 Apartment buildings generally aren’t all that architecturally creative, let alone eco-friendly in an imaginative and visually striking way. 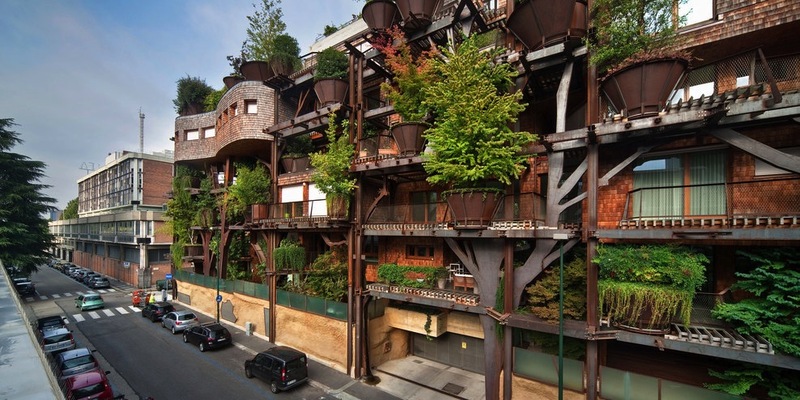 But this five-story building by architect Luciano Pia has not only created a wacky new landmark for the city, it also protects its inhabitants from pollution and noise thanks to 150 real, living trees. 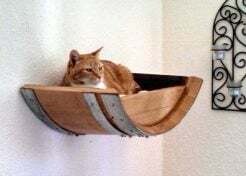 The building features stack after stack of curvilinear and geometric architectural forms, all held within a wood and steel framework that also plays host to trees in enormous bronzed pots. 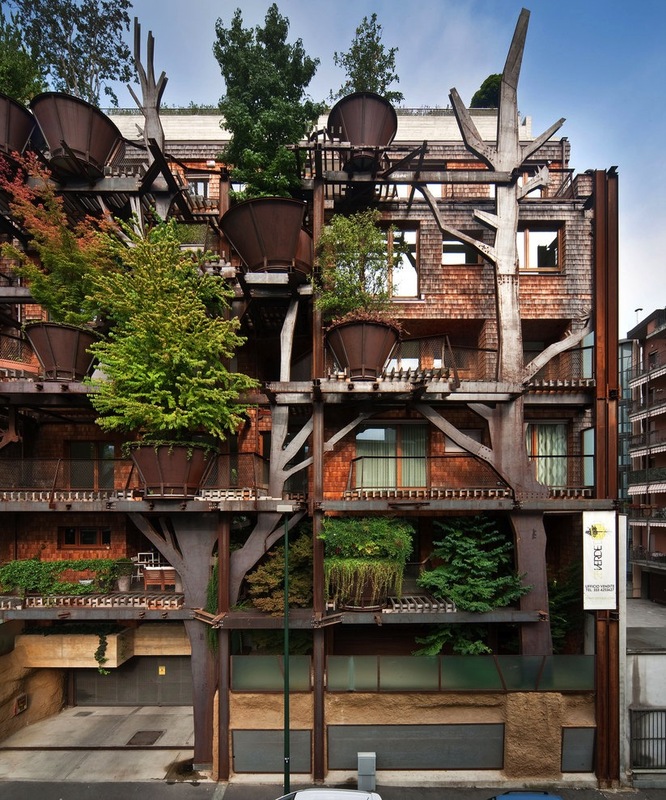 The trees in the building absorb nearly 200,000 liters of carbon dioxide per hour, providing a buffer against all of the car exhaust and other forms of pollution emanating from the adjacent city streets. 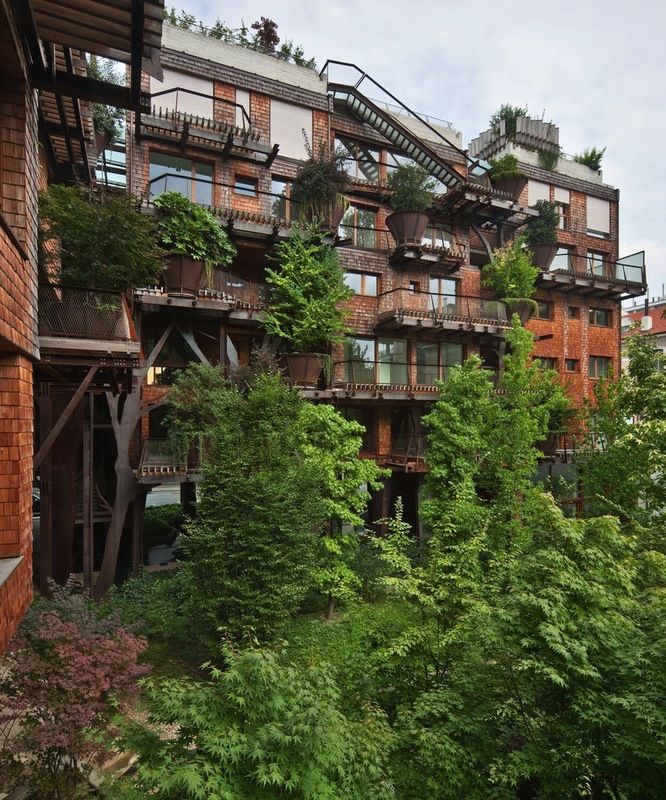 Housing 63 apartment units, the building features extensive terraces that offer indoor/outdoor spaces that change year-round as the trees respond to the seasons. 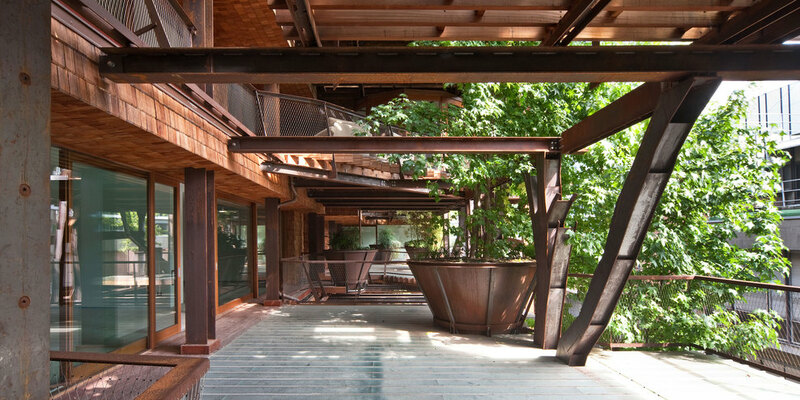 The presence of all that foliage helps regulate temperatures throughout the entire structure. 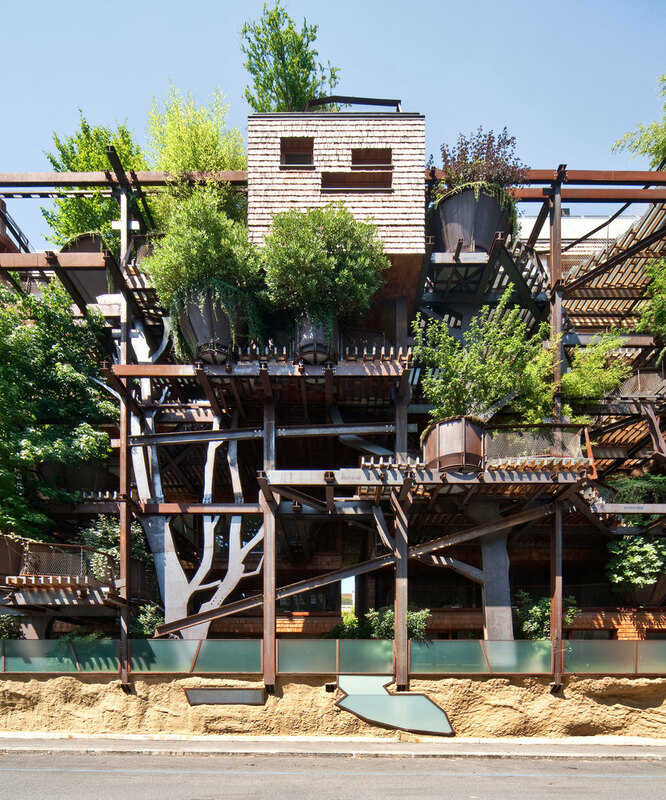 Beyond the environmental benefits, the building is just plain fun to look at, and we’d imagine that it would be a really fun place to live.